Baron Franz Nopcsa, ca. 1928. Hungarian scholar Baron Nopcsa [see Document 1913 Nopcsa] travelled extensively in the northern Albanian mountains in the first decade of the twentieth century. Together with Edith Durham and Karl Steinmetz, he is considered to have been one of the most knowledgeable foreign scholars of northern Albanian culture in this period. What fascinated many foreign observers – then and now – was the seemingly senseless blood feuding among the northern tribes. A good portion of the male population in the mountains was decimated over the years in the vendettas. In this work, Nopcsa offers precise statistics on the numbers and percentages of deaths due to feuding. Now, a century since Nopcsa’s time, blood feuding once again plagues the northern Albanian mountains and it is quite possible that the murder statistics would be similar today. Among the victims are many male children, who for fear of falling victim to feuds, spend their childhood at home in the dark, and can never go outdoors or attend school. The insanity continues. 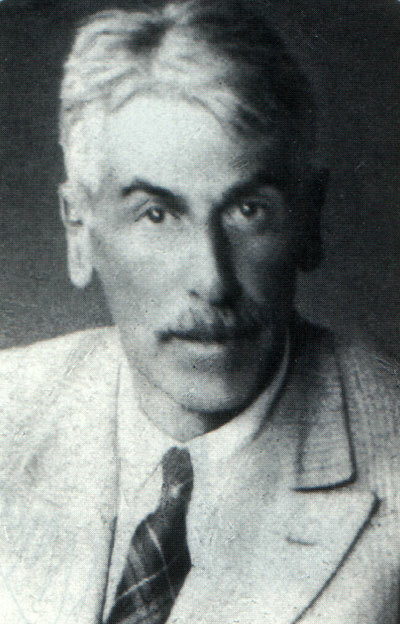 Since various views exist as to the percentage of murders among deaths occurring in northern Albania and even reputed scholars such as Dr Hassert give 25-75% for the male population, which would be a serious stain on the country’s reputation, I believe that the following information will be of general interest. The figures given in the following tables derive from over half a year of travel in Catholic northern Albania in the company solely of natives. They are taken from the registries of deaths kept regularly in the various parishes that I consulted. I had originally intended to consult the death registries of all the Catholic parishes, but unforeseen circumstances forced me to abandon this endeavour. I was, however, able to gather data from 30 parishes, some of which were incomplete. The blanks in the following tables mean that there was no registry of deaths in the year and parish in question. The main reasons for this were vacancies or the advanced age of the priests concerned. In some parishes, for example in Orosh, the church registries have disappeared. Nonetheless, given that there are data for over a fifteen year period and for several dioceses, though fragmentary in some cases, I believe that general conclusions may be reached. The rate of murder is much lower than generally thought. On average at the moment, not 25% or indeed 75%, but only 19% of the male population is murdered. To appreciate this figure, one must take some factors into consideration. 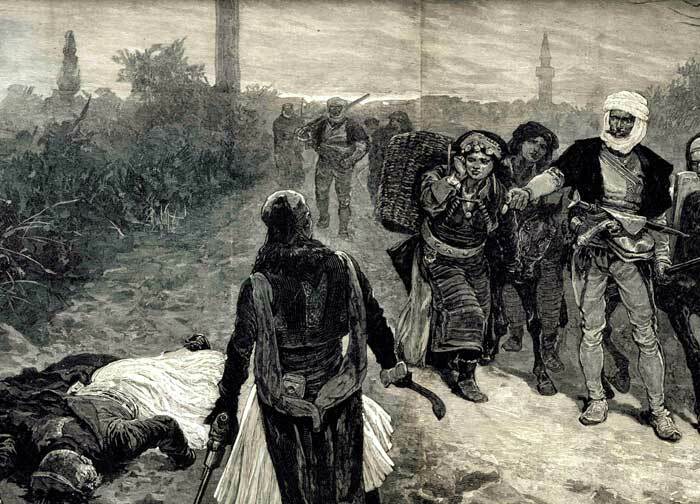 In Albania, one must differentiate between common or primary murders (robberies, hatred, disputes) and revenge or secondary murders (blood feuding). It was impossible to ascertain from the registries how many of the murders given in the following tables belonged to the second category. However, since blood feuding is obligatory in northern Albania and is often the only legal means one can resort to, I would venture to say that almost half of the murders that take place in the country are acts of revenge. This is of great significance for an understanding of the Albanian character. 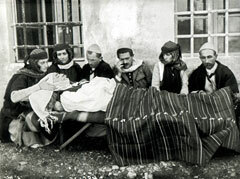 An Albanian who kills his foe out of vengeance, who, as they say “ka mar gjak (has taken blood),” is guilty of far less a crime than his central European counterpart who has legal – albeit perhaps inadequate - means at his disposal to deal with defamation, but who prefers to challenge his opponent to a duel. In actual fact, blood feuding, duelling and hara-kiri are three equal means of dealing with the same problem. (Photo: Shan Pici, ca. 1930). In defence of the Albanians it must be noted that, as opposed to the situation in central Europe, killing women is virtually unknown. The only exception is when the wife is caught in flagranti in an act of adultery, in which case the avenger endeavours to shoot both the lovers with one bullet. One explanation for the very high level of murders is that all the Albanians, who are very touchy and proud by nature, are armed. Murders committed during armed robbery are rare. Many murders are committed out of pure ignorance. A case in point is the statement of a friend of mine from Bugjon who said that he would much rather be murdered that grow ill and die a ‘straw death,’ i.e. of old age. Further psychological aspects of murder and homicide are given in my sketch of Catholic northern Albania, published in Hungarian and in German, in the periodical of the Hungarian Geographical Society in Budapest. About 24% of murders took place in the Diocese of Pulat, about 20% in the Abbacy of Mirdita, about 15% in the Diocese of Sappa, and about 13% in the Diocese of Lezha (Alessio). The highest percentage is 42.3 in the parish of Toplana of the Diocese of Pult, and the lowest percentage is 5.5% in the parish of Qafmal in the Abbacy of Mirdita. * “They are killing one another like in Toplana” is a common saying. * Up to 1899 including Shosh. * As a result of an exchange of words on Easter Sunday right at the church door. * One man in the village was sentenced to death and shot by all the villagers together.